Has been formulated for all Surfboard deck surfaces, even suits Soft Surfboard surfaces where grip is 100% vital - this outstanding quality POD wax is so good it can be applied to any other Water Craft surface where traction is considered necessary. 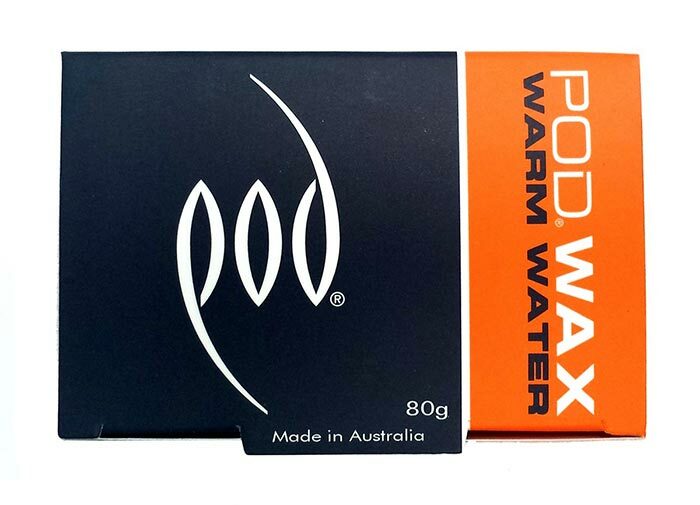 When applied to either surfboards and or softboards decks it forms an terrific bead surface which builds even better with additional use, the POD Wax does not smudge or simply crumbles an falls away, ensuring excellent traction lasting over 3 times longer. 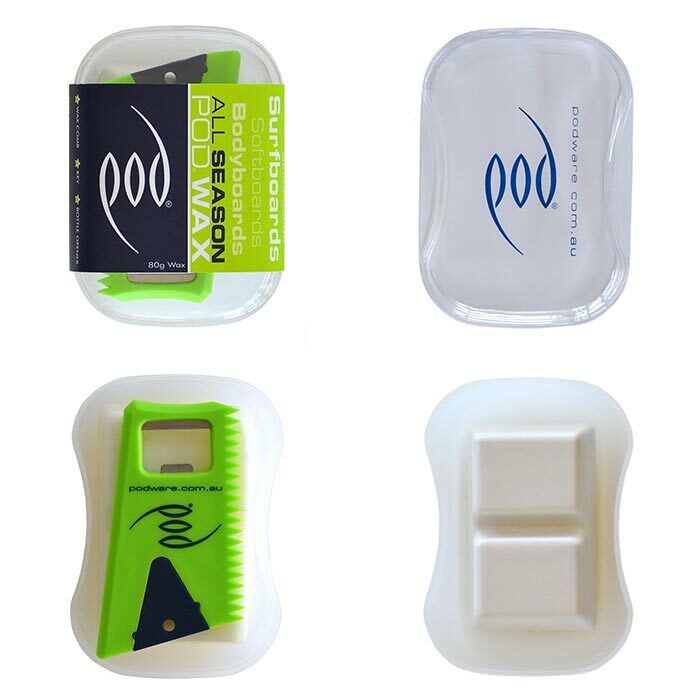 The POD Wax Kit has a Reusable Container to prevent any unwanted contaminates, the POD Kit also contains a Wax Comb with Set Screw Key that retro fits most set screws used for any surfboard fins and leg rope connectors, the wax comb also includes a handy Bottle Opener.